In a few days, the runDisney Marathon weekend will kick off and I will be participating in all four events! While 48.6 miles is daunting, I am looking most forward to running the 5K portion with my Mom. Two years ago, I participated in my first runDisney 5K, which changed my life and started this blog! I can personally attest that runDisney has fairy dust magical power and can help people achieve dreams that were once never imaginable (hello 2013 NYC Marathon). Speaking of fairy dust, there are 28 heroes who will have an extra sparkle this week. 28 people will participate in the runDisney Marathon Weekend through Achilles Cigna Customer Referral Program, who are referred through their Vocational Rehabilitation Counselors. Achilles provides Cigna long term disability customers access to training resources and the ability to participate in mainstream athletic events. On a side note, I am quite familiar and a huge fan of Vocational Rehabilitation - my fiance got his masters in this field and lives and breathes it everyday. Vocational Rehabilitation provides training in a specific area with the aim of gaining employment and getting back to your normal life after an injury or illness. I can tell you, Voc Rehab counselors are super heroes with invisible capes who make their clients become shining heroes they are meant to be and the Achilles Cigna program proves that. Here are 3 of 28 incredible stories on athletes competing this week at runDisney Marathon Weekend. These stories which should help you achieve something you never thought were possible in 2014 and encourage you to never give up, no matter what life throws at you. Robert Weiss, a computer engineer of Boyton Beach FL was diagnosed with Crohn's Disease in 2011. He had a gut feeling that Crohn's was not the case and went to a specialist, only to find out that he had Non-Hodgikin's Lymphoma. Since his diagnosis, Robert has had several surgeries and chemo along with working with a rehabilitation counselor. His Vocational Rehabilitation Counselor suggested that he participate in the Cigna Achilles Program. Thanks to this suggestion, Robert was able to reconnect to his normal life and Cigna is sponsoring him during the Walt Disney World Family Fun Run 5K. This will be Robert’s first race and one of his last healthy milestones on his road to recovery before January 9 being able to return to work. Karen Ronk had a pain in her right arm that wouldn't go away, leading to surgeries, scar tissue and rotator cuff tears. Yet she never gave up and no matter how tired she was. Karen stated she would rather walk than take a pain pill. 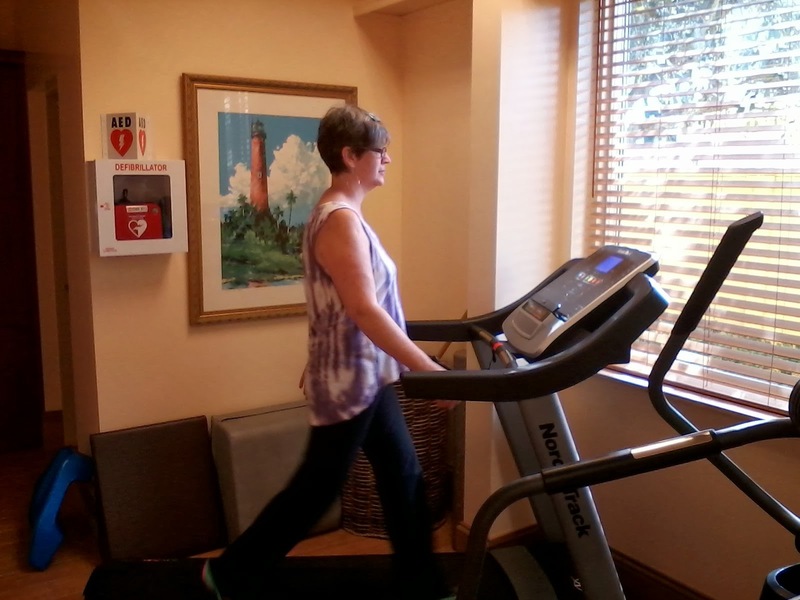 She walks 4-5 miles a day, noting that walking is a stress reliever along with other health benefits. Over the past year of Karen's recovery, she started working with a vocational rehabilitation counselor, who recommended she participate in the Achilles Cigna Customer Referral Program. Karen joined a local chapter of Achilles and started training with other people with disabilities. “Being part of the Achilles chapter and heading to Disney for the 5K, I finally had something to look forward to doing,” Karen said. Jodi Stout was diagnosed with a degenerative eye disease called retina picmentosa at 14 years old. Now at 52 years old, Jodi is totally blind and learning to regain her independence. “It’s a slow disease. I had a driver’s license until I was 30 years old,” she recalled. “It was the hardest part of my independence that I lost.” Jodi recently started working with a Cigna Vocational Rehabilitation Counselor and joined the Achilles Cigna Customer Referral Program. She will be one of the 28 people at Walt Disney World Marathon Weekend sponsored by Cigna. This will be Jodi's first race and she currently walks three to five miles daily. These three individuals are heroes and I am honored to participate in the Family Fun Run 5K with them on Thursday. You can learn more about Cigna and runDisney at http://www.cigna.com/sites/disneymarathon. 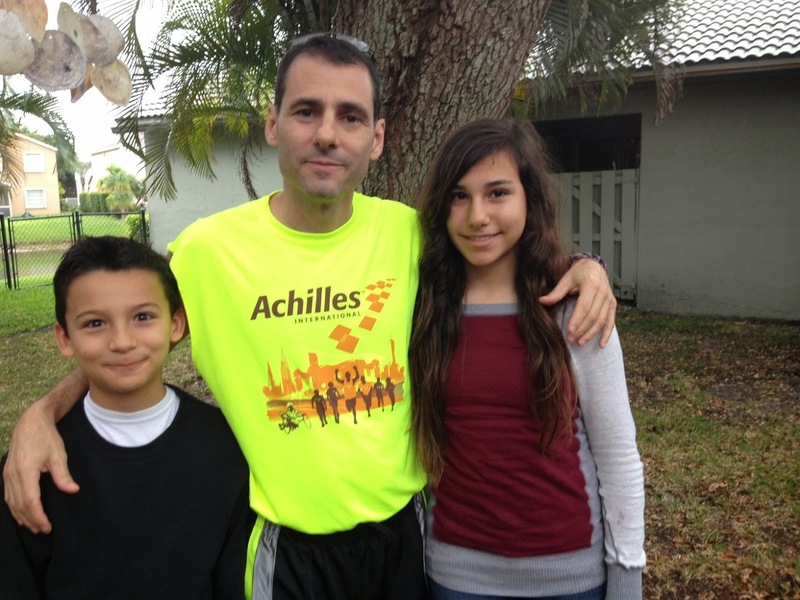 If you are running any of the 4 races this week at Walt Disney World Marathon Weekend and see a Cigna Achilles Athlete, please go up to them and tell them what a great job they are doing. This sounds like a great and inspiring race! Can't believe you're doing all 4 races, good luck! It is so amazing that Cigna is doing this with runDisney. Nothing will boost your self confidence than completing your first race! Thanks for covering the stories. What an inspiration !